Echosec offered the journalism library a free account to share with all of journalism. They want feedback and they wanted the library to tell everyone since the tool searches social media that this information is not filtered. 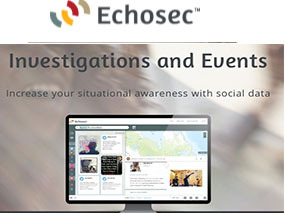 For those of you unfamiliar with Echosec, it is a software tool that allows you to monitor several social media platforms. As a reporting tool, it has all kinds of interesting possibilities. For strat comm, it is a social listening tool allowing you to monitor company, brand and product mentions. You can search by keyword, social media handle, or zoom in on a specific area to see what people are sharing. Please contact Dorothy Carner carnerd@missouri.edu or Sue Schuermann schuermanns@missouri.edu for login and password.